I’ve had the most tiring Saturday. I hope your all having an eventful evening too. 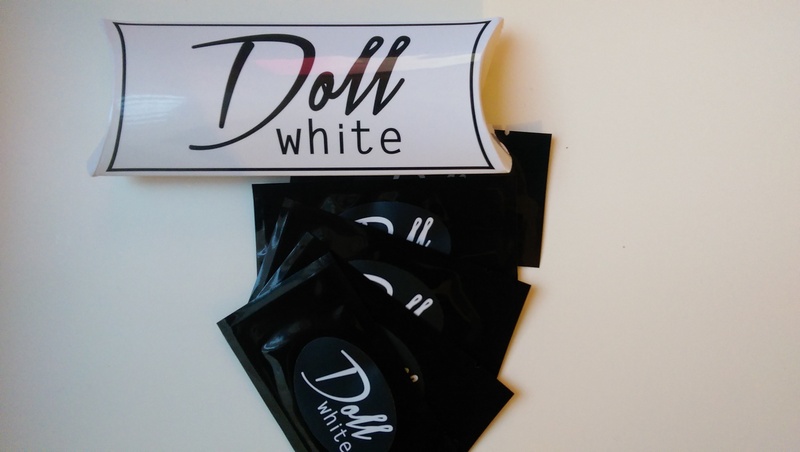 A few weeks ago I received a package from Doll White. If you didn’t already know they provide you with teeth whitening strips for a number of days depending on what you choose. Mine were the 6 day ones. It contained 6 teeth whitening strips. In each packet there was a strip for the top teeth and one for the bottom. 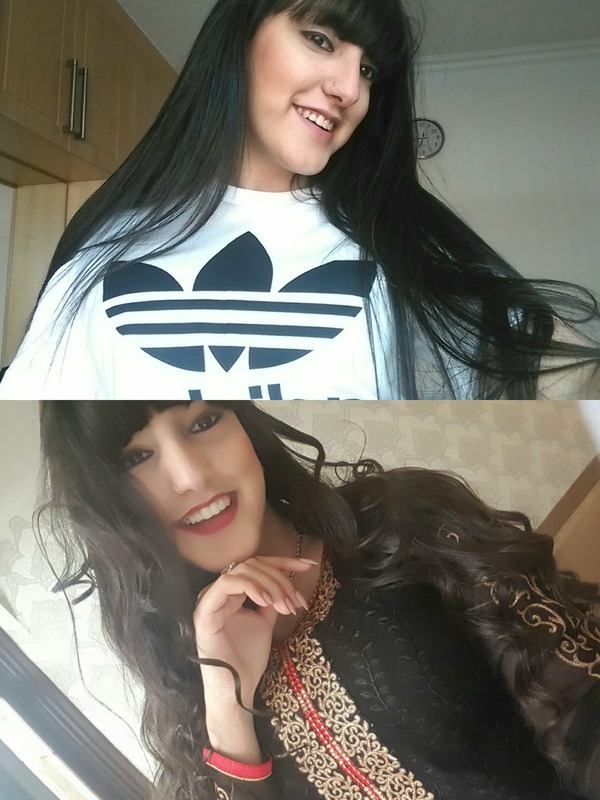 These strips also are non-peroxide which means they won’t do any harm which most teeth whitening strips do. 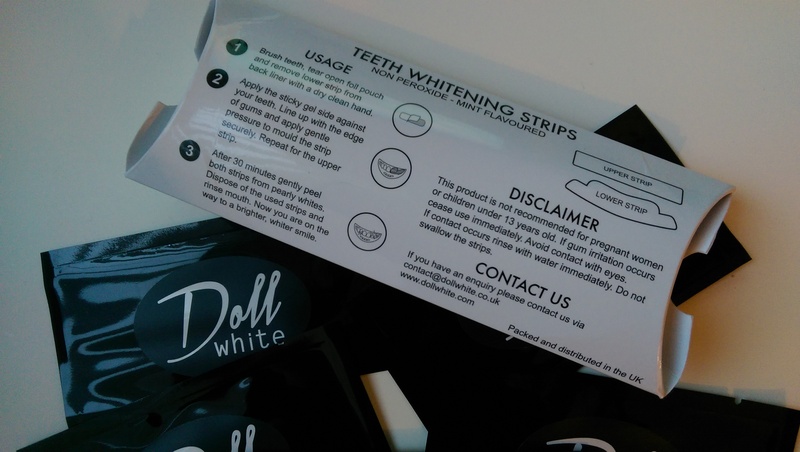 I myself do prefer the idea of the strips rather than other complicated teeth whitening kits. As its all done in the matter of 30 mins with easy and simplistic steps. I’ve done the whole 6 day course and my teeth are lovely and pearl white and I couldn’t be happier! 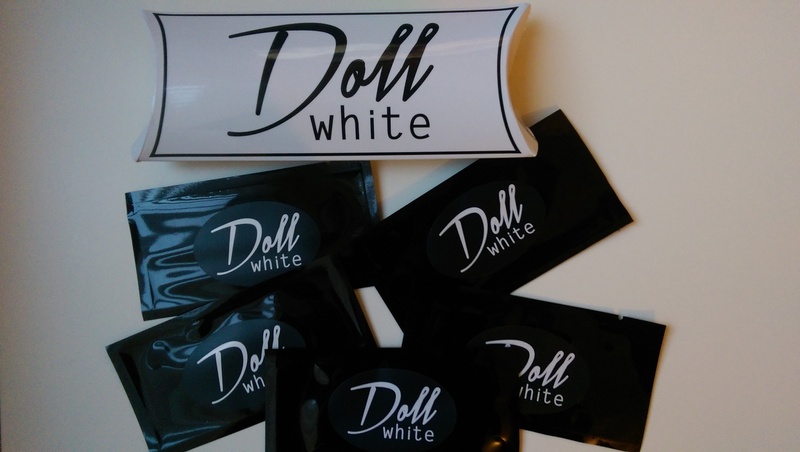 I’m always on the look out for simpler alternatives and this for teeth whitening is awesome! I totally recommend for you to try them as its super simple and such a good outcome!! I’ve inserted an image of the effect below the top image if before the bottom one is after! What do you use to whiten your teeth? Comment below. « Pink Soda Sport Event&New Collection!